The intersections between fashion and graphic design will be questioned in a full-day symposium hosted by representatives from international guests, Tunica, Girls Like Us, and Berlin-based fashion researcher, Femke de Vries. The symposium will explore how these multifaceted-agencies are encouraging fashion discourse, with examples from Tunica, who expanded from magazine publishing to begin releasing capsule collections, and Girls Like Us, who use the t-shirt as a platform for publication. Tunica will speak about their hybrid practice and the publishing outcomes of these collections, while fashion researcher Femke de Vries will explore fashion and design commodities. International publishing network Publication Studio (PS), which houses 11 studios across four continents, will make their Australian debut as workshop hosts. Founder, publisher and art director of PS Rotterdam, Yin Yin Wong, and founder and publisher of PS Pearl River Delta (Hong Kong), Elaine W. Ho will present a workshop responding to experimental publishing, referencing their own studio practice and characteristics unique to their geographical location, along with PS's holistic approach to publishing and fostering global publishing communities. The NGVs Great Hall will be taken over by an art and publishing marketplace, and will also feature Fair Exchange, a site-specific project run by Melbourne design studio No Clients. Attendees to the fair are invited to bring along a book to trade in exchange for a curated selection of books by No Clients. The program, which is a way to highlight the value and non-value of books, also aims to explore the distribution of books as not only art or objects, but as forms of currency. The fair will open the annual Melbourne Design Week, an 11-day initiative of the Victorian Government in collaboration with the NGV. 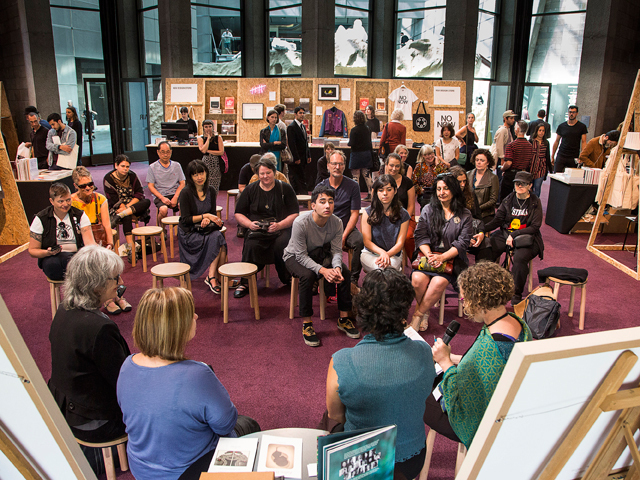 The program offers a unique opportunity for local and international designers, the public and design-led organisations to access a suite of design events, including exhibitions, talks, tours, panel discussions and industry events that respond to the 2019 theme, Design Experiments. The NGV Department of Contemporary Design and Architecture is generously supported by The Hugh D.T. Williamson Foundation, Managed by Equity Trustees.